Striata Spotlight Insights Are your customers recommending you? How loyal are your customers? 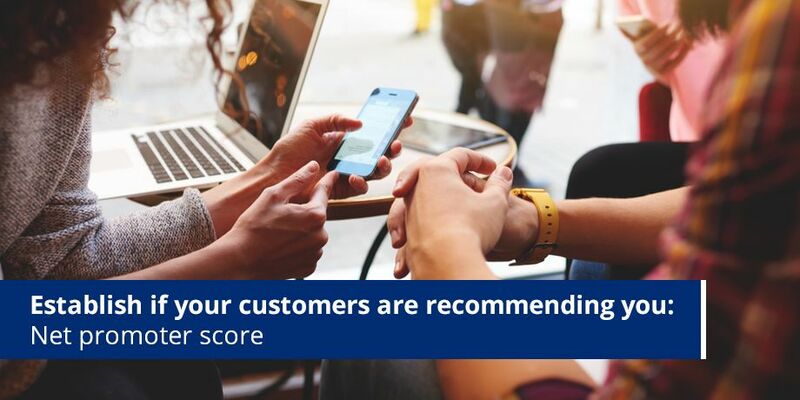 Establish the levels of loyalty in your customer base and the value of the services your company is providing, by determining your organization’s net promoter score (NPS). “How likely is it that you would recommend us to a friend?” – this has proved to be the best predictor of customer loyalty across the vast majority of businesses. Harvard Business School developed a concept of NPS known as ‘Ask One Question’. Using this formula together with SMS technology such as Striata’s Text-2-Rate, you can accurately evaluate customer loyalty and attitudes towards your company. By dividing your customer base into three sections – promoters, passives and detractors, you can determine your NPS. Loyal enthusiasts who buy from the company and urge others to do the same. Satisfied but unenthusiastic customers who could easily be lured by the opposition. Unhappy customers who feel trapped in a bad relationship. Promoters are assets, while detractors are liabilities. By subtracting the liabilities from the assets, you are left with the net worth of the customer base or the company’s NPS, and this is regarded by Harvard as the single most reliable indicator of a company’s ability to grow. Striata’s Text-2-Rate service enables you to benchmark yourselves against your goals, against your opposition and against your partners in joint brand/business promotions. That’s valuable strategic information! Make sure the customer being polled has had a recent interaction with company, such as buying a product or a service. Conduct the poll less than seven days after that interaction. Customers are then also generally well-inclined to respond to the SMS. Make sure you get some good in-depth reporting back from your service provider to view the results immediately, it provides an accurate view of how effective your customer service and relationship management initiatives are proving in practice. Follow up immediately to ‘detractors’. A swift response resolves issues quickly, meaning customers are not lost and you get a second chance to prove your worth. Striata’s Text-2-Rate is an SMS-based customer loyalty determination tool that has been successfully deployed on behalf of companies in the financial services and other business sectors.